This is a list of products and services offered by American corporation Amazon. Amazon product lines include several media (books, DVDs, music CDs, videotapes, and software), apparel, baby products, consumer electronics, beauty products, gourmet food, groceries, health and personal-care items, industrial & scientific supplies, kitchen items, jewelry and watches, lawn and garden items, musical instruments, sporting goods, tools, automotive items and toys & games. The company launched amazon.com Auctions, a web auctions service, in March 1999. However, it failed to chip away at the large market share of the industry pioneer, eBay. Later, the company launched a fixed-price marketplace business, zShops, in September 1999, and the now defunct partnership with Sotheby's, called Sothebys.amazon.com, in November. Auctions and zShops evolved into Amazon Marketplace, a service launched in November 2000 that let customers sell used books, CDs, DVDs, and other products alongside new items. As of October 2014[update], Amazon Marketplace is the largest of its kind, followed by similar marketplaces from Sears, Rakuten and Newegg. In August 2007, Amazon announced AmazonFresh, a grocery service offering perishable and nonperishable foods. Customers could have orders delivered to their homes at dawn or during a specified daytime window. Delivery was initially restricted to residents of Mercer Island, Washington, and was later expanded to several ZIP codes in Seattle proper. AmazonFresh also operated pick-up locations in the suburbs of Bellevue and Kirkland from summer 2007 through early 2008. Amazon's Subscribe & Save program offers a discounted price on an item (usually sold in bulk), free shipping on every Subscribe & Save shipment, and automatic shipment of the item every one, two, three, or six months. In 2013, Amazon launched its site in India, Amazon.in. It started with electronic goods. In July 2014, Amazon said it would invest $2 billion (Rs 12,000 crore) in India to expand business, after its largest Indian rival Flipkart announced $1 billion in funding. In 2014, Amazon sold 63% of all books bought online and 40% of all books sold overall. Fulfillment by Amazon Small and Light is a service introduced in 2015 that will[when?] provide fulfillment for small, light items from a center in Florence, Kentucky. The service will offer free standard shipping for small, light, low-value items offered on the site by third-party sellers. In 2015, a study by Survata found that 44% of respondents searching for products went directly to Amazon.com. For un detailed reasons, amazon.co-uk has a country blacklist with five areas completely forbidden to delivery of any kind of goods. A second section of 29 countries is interested by restrictions for some kind of goods. It includes democratic nations such as Bosnia-Herzegovina, India, Israel, Japan, Qatar and Singapore. In 2005, Amazon announced the creation of Amazon Prime, a membership offering free two-day shipping within the contiguous United States on all eligible purchases for a flat annual fee of $79 (equivalent to $101 in 2018), as well as discounted one-day shipping rates. Amazon launched the program in Germany, Japan, and the United Kingdom in 2007; in France (as "Amazon Premium") in 2008, in Italy in 2011, in Canada in 2013, and in India on July 26, 2016. Amazon Prime membership in Germany, the United Kingdom, India, and the United States also provides Amazon Video, the instant streaming of selected movies and TV shows at no additional cost. In November 2011, it was announced that Prime members have access to the Kindle Owners’ Lending Library, which allows users to borrow certain popular Kindle e-books for free reading on Kindle hardware, up to one book a month, with no due date. In March 2014, Amazon announced an increase in the annual membership fee for Amazon Prime, from $79 to $99. Shortly after this change, Amazon announced Prime Music, a service in which members can get unlimited, ad-free streaming of over a million songs and access to curated playlists. In November 2014, Amazon added Prime Photos, which allows unlimited photo storage in the users' Amazon Drive (though only some raw photo files count as photos). Amazon also began offering free same-day delivery to Prime members in 14 United States metropolitan areas in May 2015. In April 2015, Amazon started a trial partnership with Audi and DHL in order to get deliveries directly into the trunks of Audi cars. This project is only available on the Munich (Germany) area to some Audi connected car users. On July 15, 2015, to commemorate its 20th birthday, Amazon celebrated "Amazon Prime Day", which Amazon announced would feature deals for prime members that rivaled those on Black Friday. Also that month Amazon Prime announced that it would be signing Jeremy Clarkson, Richard Hammond, and James May, formerly of BBC's Top Gear, to begin working on The Grand Tour, due to be released in 2016. On July 13, 2016, Amazon Prime said customers placed 60 percent more orders worldwide on "Prime Day". In December 2015, Amazon stated that "tens of millions" of people are Amazon Prime members. Amazon Prime added 3 million members during the third week of December 2015. It was also during December that Amazon announced the creation of the Streaming Partners Program, an over-the-top subscription service that enables Amazon Prime subscribers to add additional streaming video services to their accounts. Among the programming providers involved in the program are Showtime, Starz (with additional content from sister network Encore), Lifetime Movie Club (containing recent original movie titles from Lifetime Television and Lifetime Movie Network), Smithsonian Earth, and Qello Concerts. In January 2016, Amazon Prime reached 54 million members according to a report from Consumer Intelligence Research Partners. In April 2016, Amazon announced same-day delivery would be expanded to include the areas of Charlotte, Cincinnati, Fresno, Louisville, Milwaukee, Nashville, Central New Jersey, Raleigh, Richmond, Sacramento, Stockton, and Tucson, bringing total coverage to 27 metro areas. In September 2016, Amazon launched a restaurant delivery for Prime members in London. It was reported delivery fee on all orders is free for Prime members with a minimum order of £15.00. In December 2016, Amazon began offering prime membership for a monthly, instead of yearly fee, at $10.99 per month. In December 2016, Amazon announced Wickedly Prime, a private-label line of food and beverages available to Prime members. 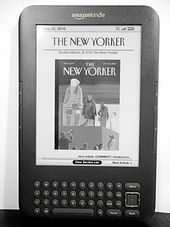 In November 2007, Amazon launched the Kindle, an e-reader which downloads content over "Whispernet", via Sprint's EV-DO wireless network. The screen uses E Ink technology to reduce battery consumption and to provide a more legible display. As of July 2014, there are over 2.7 million e-books available for purchase at the Kindle Store. Starting in 2012 Amazon began offering differing models within generations of its readers starting with the Paperwhite, Voyage, and most recently the Oasis 2 released in October 2017. In September 2011, Amazon announced its entry into the tablet computer market by introducing the Kindle Fire, which runs a customized fork of the Android operating system. The low pricing of Fire (US$199) was widely perceived as a strategy backed by Amazon's revenue from its content sales, to be stimulated by access to Fire tablets. In September 2012, Amazon unveiled the second generation tablet, called the Kindle Fire HD. On September 25, 2013, Amazon.com unveiled its third generation tablet, called the Kindle Fire HDX. In April 2014, Amazon announced its Amazon Fire TV set-top box system, a device targeted to compete with such systems like Apple TV or Google's Chromecast device. The Amazon set-top box allows for streaming videos from sites like Amazon's own streaming service as well as others such as Netflix or Hulu. The device also supports voice search for movies, as well as gaming, which includes special versions of Minecraft, Asphalt 8, and The Walking Dead. Amazon announced the Fire TV Stick in October 2014. The device replicates much of the functionality of the Fire TV. The company entered the smartphone market in July 2014 with the release of the Fire Phone. Due to poor sales and reception, Amazon discontinued it on August 2015, and has not announced any newer model as of August 2016. In 2014, Amazon sold a voice-enabled smart speaker called Echo. In March 2016, Amazon launched Amazon Echo dot, a smaller, more affordable version of the Echo. Amazon's Honor System was launched in 2001 to allow customers to make donations or buy digital content, with Amazon collecting a percentage of the payment plus a fee; however, the service was discontinued in 2008 and replaced by Amazon Payments. In November 2007, the Kindle Store was launched as an e-book e-commerce store and can be accessed from any Amazon Kindle, Fire tablet or Kindle mobile app. At its launch, the store had more than 88,000 digital titles available. This number increased to more than 765,000 by August 2011 and as of January 2017 there were over five million e-books available in the U.S. In January 2008, Amazon began distributing its MP3 service to subsidiary websites worldwide and, in December 2008, Amazon MP3 was made available in the UK. At the launch of Amazon MP3 in the UK, over 3 million Digital Rights Management (DRM)-free songs were made available to consumers, with prices that started at 59p, compared to Apple's 79p starting price. In July 2010, Amazon announced that e-book sales for its Kindle reader outnumbered sales of hardcover books for the first time ever during the second quarter of 2010. Amazon claims that, during that period, 143 e-books were sold for every 100 hardcover books, including hardcovers for which there is no digital edition; and during late June and early July, sales rose to 180 digital books for every 100 hardcovers. On March 22, 2011, Amazon launched the Amazon Appstore for Android devices and the service was made available in over 200 countries. Also in 2011, Amazon announced that it was releasing a Mac download store to offer dozens of games and hundreds of pieces of software for Apple computers. In January 2013, Amazon launched AutoRip, a digital music service. The service allows customers to receive a free MP3 copy of select CDs purchased through Amazon. Amazon announced in September 2013 that it would launch Kindle MatchBook in October 2013, a similar service for books allowing customers who buy books from Amazon to acquire an e-book copy for free, or at a discounted price of US$3 or less. MatchBook was launched on the company's site on October 29, 2013. In October 2008, Amazon acquired game developer and distributor Reflexive Entertainment. This studio continued to develop games for PC, Mac and Kindle eReaders under the brands Reflexive and Amazon Digital Services. Notable titles include Every Word for Kindle Paperwhite and Airport Mania for Kindle Fire, Android, iOS Windows and Mac. In August 2012, Amazon announced it would be adding a gaming department to its company titled Amazon Game Studios. Amazon stated that it would introduce "innovative, fun and well-crafted games" to consumers. According to the Amazon Game Studios website, the last game that was launched by the department was Amazon's first ever mobile game Air Patriots, released on November 1, 2012. On February 6, 2014, Amazon confirmed the acquisition of the gaming company Double Helix Games without any indication of the financial terms. The 75 Double Helix employees were to become Amazon employees and their Orange County, California, headquarters was to remain their operating base. Amazon informed the TechCrunch media company that it "acquired Double Helix as part of our [Amazon's] ongoing commitment to build innovative games for customers" and confirmed that Double Helix's current game roster and other future developments will receive support following the acquisition. On August 25, 2014, Amazon announced its intent to acquire the video game streaming website Twitch for $970 million. The acquisition of Twitch is expected to help Amazon drive Internet traffic and potentially boost its Prime membership program, and promote its video ad and Fire TV set top box business. In August 2013, Amazon launched Amazon Art as an online marketplace selling original and limited edition fine art from selected galleries. The initial 40000 items listed for sale included Norman Rockwell's painting Willie Gillis: Package from Home priced at $4.85 million, L'Enfant a la tasse by Claude Monet for $1.45 million and Andy Warhol's Sachiko for $45 000. On April 28, 2015, Amazon announced its launch of Amazon Business. Amazon Business is a service that provides registered business owners with a consolidated platform for buying products and supplies from Amazon. Business users have access to shipping benefits, discounts on eligible products, purchase analytics, and price comparisons from different sellers. Amazon Drive, formerly known as Cloud Drive, is a cloud storage application offering secure cloud storage, file synchronization, file sharing, and Photo printing. Using an Amazon account, the files and folders can be transferred and managed from multiple devices including web browsers, desktop applications, mobiles, and tablets. Amazon Drive also lets their U.S. users order photo prints and photo books using Amazon Prints service. Amazon majorly offers two plans in their marketplaces - Prime Photos and Unlimited Storage. The Prime Photos plan offers unlimited storage for photos and RAW files, and a 5 gigabytes of storage for videos and other files, whereas Unlimited Storage plan, intended for non-business customer sections, offers unlimited storage for photos, videos, documents, and files in other formats. In August 2005, Amazon began selling products under its own private label, "Pinzon"; the trademark applications indicated that the label would be used for textiles, kitchen utensils, and other household goods. In March 2007, the company applied to expand the trademark to cover a more diverse list of goods and to register a new design consisting of the "word PINZON in stylized letters with a notched letter "O" which appears at the "one o'clock" position". Coverage by the trademark grew to include items such as paints, carpets, wallpaper, hair accessories, clothing, footwear, headgear, cleaning products, and jewelry. In September 2008, Amazon filed to have the name registered. USPTO has finished its review of the application, but Amazon has yet to receive an official registration for the name. AmazonBasics is a private-label product line, mainly consisting of consumer electronics accessories, but also including home and office accessories. The line was launched in 2009. In early 2017, Amazon launched a line of snack foods under the name Wickedly Prime. The products, such as chips and cookies are only available to Amazon Prime members. An Amazon.com exclusive is a product, usually a DVD, that is available exclusively on Amazon.com. Some DVDs are produced by the owner of the film or product, while others are produced by Amazon.com itself. The DVDs produced by Amazon are made using its "CreateSpace" program, in which DVDs are created, upon ordering, using DVD-R technology. The DVDs are then shipped about two days later. Some DVDs (such as the Jersey Shore Season 1 or The Unusuals Season 1) are released first as an Amazon.com exclusive for a limited time before being released elsewhere. On May 23, 2011, Amazon.com allowed customers to download Lady Gaga's Born This Way album for 99 cents, resulting in some downloads being delayed, due to an extremely high volume of downloads. Amazon self publishing services through one of its companies, CreateSpace, a member of the Amazon group of companies. Amazon Studios is Amazon.com's division that develops television shows, movies and comics from online submissions and crowd-sourced feedback. It was started in late 2010. Content would be distributed through Amazon Video, Amazon's digital video streaming service, and a competitor to services like Netflix and Hulu. For films, Warner Bros. is a partner. Amazon launched Amazon Web Services (AWS) in 2002, which provides programmatic access to latent features on its website. In March 2006, Amazon launched an online storage service called Amazon Simple Storage Service (Amazon S3). An unlimited number of data objects, from 1 byte to 5 terabytes in size, can be stored in S3 and distributed via HTTP or BitTorrent. The service charges monthly fees for data stored and transferred. In 2006, Amazon introduced Amazon Simple Queue Service (Amazon SQS), a distributed queue messaging service, and product wikis (later folded into Amapedia) and discussion forums for certain products using guidelines that follow standard message board conventions. Also in 2006, Amazon introduced Amazon Elastic Compute Cloud (Amazon EC2), a virtual site farm, allowing users to use the Amazon infrastructure to run applications ranging from running simulations to web hosting. In 2008, Amazon improved the service by adding Elastic Block Store (EBS), offering persistent storage for Amazon EC2 instances and Elastic IP addresses, and offering static IP addresses designed for dynamic cloud computing. Amazon introduced SimpleDB, a database system, allowing users of its other infrastructure to utilize a high-reliability, high-performance database system. In 2008, Amazon graduated EC2 from beta to "Generally Available" and added support for the Microsoft Windows platform. Amazon continues to refine and add services to AWS, adding such services as Scalable DNS service (Amazon Route 53), payment handling, and AWS specific APIs for its Mechanical Turk service. AWS Identity and Access Management (IAM) was launched in June 2012 and later in November 2012 at AWS' web developer conference in Las Vegas it announced it was targeting large companies as cloud storage clients. It will further cut its S3 prices to customers with long-term contracts in its "Redshift" storage service launching in 2013. In March 2013 Amazon announced its Mobile Ads API for developers. The new Ads API can be used on apps distributed on any Android platform as long as the app is also available on Amazon's Appstore. As of December 2014, Amazon Web Services operated 1.4 Million servers across 11 regions and 28 availability zones. Amazon Publishing is Amazon's publishing unit launched in May 2009. It is composed of AmazonEncore, AmazonCrossing, Montlake Romance, Thomas & Mercer, 47North, Powered by Amazon, New Harvest, Grand Harbor Press, Two Lions, Skyscape and Waterfall Press. Launched in 2005, Amazon Shorts offered exclusive short stories and non-fiction pieces from best-selling authors for download from the Kindle Store. By June 2007, the program had over 1,700 pieces and was adding about 50 new pieces per week, but the program was discontinued on June 1, 2010. Amazon also created "channels" to benefit certain causes. In 2004, Amazon allowed customers to donate $5 to $200 to the campaigns of 2004 US presidential hopefuls, providing links that raised $300,000 for the candidates. Amazon has periodically reactivated a Red Cross donation channel after crises such as Hurricane Sandy, Hurricane Katrina, and the 2004 earthquake and tsunami in the Indian Ocean. By January 2005, nearly 200,000 people had donated over $15.7 million in the US. In 2013, Amazon launched a charity initiative called Amazon Smile. It can be accessed by going to smile.amazon.com when normally shopping, and allows Amazon to donate 0.5% of the sale price of eligible items to the customer's selected charity as its sponsor. Amazon Local is a daily deal service launched in June 2011 in Boise, Idaho. As of 2013[update], Amazon Local offers daily deals to over 100 regions in 36 U.S. states. Amazon Local also acts as a deal aggregator; some of the deals are actually offered through LivingSocial, a firm in which Amazon has heavily invested. On December 18, 2015, Amazon Local stopped selling daily deals however purchased deals will remain valid according to its terms. 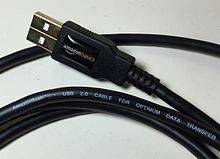 In July 2009, Amazon.com launched an AmazonWireless website, which offers cellular devices and service plans for Verizon Wireless, AT&T, Sprint and T-Mobile in the US. AmazonFresh is a home grocery delivery service first trialed in 2007, and later made available in Boston, Seattle, Los Angeles, San Francisco, California, San Diego, Brooklyn, New York and Philadelphia, PA. In 2017 Amazon purchased Whole Foods and began selling 365 (whole foods store brand products) through Amazon Fresh. Amazon Prime Pantry is a similar service covering the 48 contiguous United States, allowing the order of up to 45 pounds of dry goods and non-perishable groceries for a flat delivery fee. On March 31, 2015, Amazon.com announced that it was expanding Amazon Dash to include an Amazon Dash Button and a Dash Replenishment Service. On January 22, 2018, Amazon Go, a store that uses cameras and sensors to detect items that a shopper grabs off shelves and automatically charges a shopper's Amazon account, was opened to the general public in Seattle. Customers scan their Amazon Go app as they enter, and are required to have an Amazon Go app installed on their smartphone and a linked Amazon account to be able to enter. The technology is meant to eliminate the need for checkout lines. Amazon Go was initially opened for Amazon employees in December 2016. By the end of 2018, there will be 8 total Amazon Go stores located in Seattle, Chicago, San Francisco and New York. Amazon has plans to open as many as 3,000 Amazon Go locations across the United States by 2021. Amazon Supply, launched in 2012, offers industrial and scientific components and maintenance, repair and operations (MRO) supplies. Amazon Supply was developed based on experience operating Smallparts.com, acquired in 2005. (The Smallparts.com brand was discontinued with the launch of Amazon Supply.) While Amazon Supply uses the same order fulfillment and distribution system as Amazon.com, its online store provides services to customers in more than 190 countries. On May 10, 2016, Amazon launched a Video Service called Amazon Video Direct which allows users to place videos available to rent or own, to view free with ads, or to be bundled together, and offered as an ad-on subscription. Amazon will pay creators 50% of the revenue earned from rental or sale of the videos, but for ad-supported videos, the makers will get a portion of ad receipts. In October 2016, Amazon Music released a music streaming service called "Amazon Music Unlimited." Unlike Prime Music with its somewhat limited catalog, this stand-alone music streaming service has "tens of millions" of songs and is intended to compete with music streaming leaders such as Spotify and Pandora Radio. It has a similar price structure, albeit with a $2/month discount for Amazon Prime members. On January 24, 2016, Amazon launched a new subscription program aimed at parents called STEM Club, which delivers educational toys to your home for $19.99 per month. And by "STEM", toys will be hand-picked and focused on the area of science, technology, engineering and math. The toys will range from robotics to natural sciences and will include items exclusive to Amazon. STEM toy subscription club is only available in the United States. On November 2, 2015, Amazon opened its first physical retail store, a bookstore in the University Village shopping center in Seattle. The store, known as Amazon Books, has prices matched to those found on the Amazon website (for Prime members) and integrate online reviews into the store's shelves. In March 2015 Amazon launched a new on-demand service, Amazon Home Services, aimed at offering homeowners a marketplace for professional services such as plumbing, electrical, audio/visual installation, and lawn services. The Home Services category designed to make finding a specialist easy by verifying that providers are properly licensed and insured for the job. Service is "Satisfaction Guaranteed" and offers a refund if you are not happy in the end. Additionally, reviews are verified so you know the reviewer actually paid for and used the services. In April 2015, Amazon rolled out a new travel site called Amazon Destinations, which focuses on helping customers find "getaway destinations" within driving distance of their homes. Amazon Destinations featured hotel selections in three United States metro areas: L.A., New York and Seattle. Later that year, Amazon discontinued the service. In October 2015, Amazon announced a new handmade marketplace called Handmade By Amazon, already having 5,000 sellers from 60 countries and 80,000 items for sale. The platform is designed for artisans to sell their good directly to the public, similar to the platform Etsy. In June 2016, Amazon Inspire launched as a way for educators to share free lesson plans, worksheets, and videos. Amazon Cash (in the United States and Canada) and Amazon Top Up (in the United Kingdom) are services allowing Amazon shoppers to add money to their Amazon account at a physical retail store. The service, launched in April 2017, allows users to add between $5 and $500 (£5 and £250) to their accounts by paying with cash at a participating retailer, who scans a barcode linked to a customer's Amazon account. Users can present the app on paper, on the Amazon app, or as a text message sent by the Amazon website. Participating retailers in the United States include 7-Eleven, CVS Pharmacy, and GameStop. In Canada, reloads can only be made at Canada Post post offices. In the United Kingdom, reloads can only be made at PayPoint locations. Amazon announced to debut the Amazon 4-star in New York, Soho neighborhood Spring Street between Crosby and Lafayette on 27 September 2018. The store carries the 4-star and above rated products from around New York. The amazon website searches for the most rated, highly demanded, frequently bought and most wished for products which are then sold in the new amazon store under separate categories. Along with the paper price tags, the online-review cards will also be available for the customers to read before buying the product. On September 30, 2015 Amazon announced the launch of Merch by Amazon, a service intended to help content creators generate revenue through the sale of branded T-shirts and other merchandise items such as long sleeve shirts, sweatshirts, hoodies and PopSockets grips, designed by creators and sold, produced and fulfilled by Amazon. Since the summer of 2018, the service has also been available on the European marketplaces in Germany and Great Britain. An Amazon.com collection point at the White Rose Centre in Leeds, England. In January 2007, Amazon launched Amapedia, a now-defunct wiki for user-generated content to replace ProductWiki, and the video on demand service Amazon Unbox. Also in 2007, Amazon launched Amazon Vine, which allows reviewers free access to prerelease products from vendors in return for posting a review. IMDb and Amazon launched a website called SoundUnwound for browsing music metadata with wiki-like user contribution in September 2007; this data was also used for Amazon's Artist Pages. SoundUnwound ceased existence on June 18, 2012, and the site redirected to Amazon. Amazon Connect enables authors to post remarks on their book pages to customers. Amazon Webstore allowed businesses to create custom e-commerce online stores using Amazon technology. Sellers selected the category for their business, and paid a commission of 1-2%, plus credit-card processing fees and fraud protection, and a subscription fee depending on the bundle option for an unlimited number of listings. Amazon has chosen a limited number of companies to become an implementation solution provider for them. The Amazon Webstore is no longer available to new merchants. In August 2014, Amazon launched a credit card reader. Merchants can use it to conduct payments through a smartphone or tablet. In 2014, Amazon launched a feature called "make an offer" that allows customers to place a bid to 3rd party sellers, rather than buy outright. However, unlike eBay, the feature is not an auction but rather a one-to-one bid where the customer haggles privately with the seller. In January 2015, Amazon announced its own email and scheduling service dubbed WorkMail developed by Amazon Web Services, the cloud computing unit of Amazon Inc. The Amazon email service is expected to bring in $10 billion extra revenue to the company. Amazon released branded semiconductors to home equipment designers who are working on Internet-of-Things devices, WiFi routers and other smart home appliances. The chips come from Annapurna Labs, which Amazon purchased in 2015 for a rumored $350 million. On January 7, 2016, the company announced that its Alpine chipset was available for a wide range of applications. In 2019, Amazon released its six-wheeled sidewalk delivery robot called Amazon Scout. ^ Arrington, Michael (August 1, 2007). "Remember Webvan? So Does Amazon" Archived 2017-07-06 at the Wayback Machine. TechCrunch. ^ a b c Claire Cain Miller (September 26, 2012). "Amazon Starts a Shopping Site for the Environmental Crowd". The New York Times. Archived from the original on October 1, 2012. Retrieved October 9, 2012. ^ "Amazon.com Subscribe & Save". Amazon. Archived from the original on July 19, 2011. Retrieved July 21, 2011. ^ R. Jai Krishna (June 5, 2013). "Amazon Launches Website in India". The Wall Street Journal. Retrieved September 6, 2015. ^ "Amazon adds India to its risk factors". PTI. November 3, 2014. Archived from the original on November 8, 2014. ^ "The Fall of Facebook". The Atlantic: 35. December 2014. ^ Spencer Soper (June 2, 2015). "Amazon Debuts Free Shipping on Small Goods, No Minimum Order". Bloomberg. Archived from the original on June 2, 2015. Retrieved June 3, 2015. The service covers items that weigh 8 ounces (230 grams) or less, which usually cost no more than $10. Delivery will take four to eight business days from a new shipping hub in Florence, Kentucky, specifically stocked for the program dubbed Fulfillment by Amazon Small and Light. ^ "Powering Effective PR Campaigns with Survata | Survata Blog". www.survata.com. Archived from the original on 2016-03-06. Retrieved 2016-03-03. ^ "Amazon's Ingenious Scheme to Undermine Black Friday". WIRED. Archived from the original on November 19, 2015. Retrieved November 20, 2015. ^ "About Restrictions on Delivery in Sanctioned or Sensitive Countries". amazon.co..uk. Archived from the original on Mar 10, 2019. Retrieved Mar 10, 2019. ^ a b Weissmann, Jordan (March 13, 2014). "Amazon Is Jacking Up the Cost of Prime, and It's Still Cheap". Slate.com. The Slate Group. Archived from the original on May 14, 2014. Retrieved May 9, 2014. ^ "Amazon Prime". amazon.com. Archived from the original on September 2, 2012. Retrieved September 6, 2012. ^ Smith, Mat (January 8, 2013). "Amazon Prime arrives in Canada: Free two-day shipping, no Instant Video". Engadget. AOL. Archived from the original on May 12, 2014. Retrieved May 9, 2014. ^ Dua, Kunal (July 26, 2016). "Amazon Prime Launched in India, Amazon Video 'Is Coming". Archived from the original on July 27, 2016. ^ Sawers, Paul (February 21, 2014). "Amazon Launches Prime Instant Video in UK & Germany". The Next Web. Archived from the original on May 6, 2014. Retrieved May 9, 2014. ^ "Amazon Adds Instant Videos to Amazon Prime". phx.corporate.ir.net. February 22, 2011. Retrieved September 6, 2012. ^ Boog, Jason (November 3, 2011). "Kindle Owners' Lending Library Unveiled". GalleyCat. Archived from the original on November 3, 2011. ^ Stone, Brad; Brustein, Joshua (March 13, 2014). "As It Warned, Amazon Boosts the Price of Prime". Bloomberg Businessweek. Bloomberg L.P. Archived from the original on March 28, 2014. Retrieved May 9, 2014. ^ "Learn More About Amazon Prime". Amazon.com. Retrieved July 23, 2014. ^ "Amazon Prime customers now get unlimited cloud storage for photos". The Verge. Archived from the original on 2017-05-30. ^ About RAW Photo Files Archived 2016-09-15 at the Wayback Machine, Amazon. Accessed 2 September 2016. ^ Amazon Drive: Photo, Video, and File Requirements Archived 2016-09-15 at the Wayback Machine, Amazon. Accessed 2 September 2016. ^ "Wired.com". May 28, 2015. Archived from the original on December 22, 2016. ^ "Maismotores.net". April 23, 2015. ^ McCormick, Rich. "Amazon says 20th birthday celebration will be bigger than Black Friday". The Verge. Archived from the original on November 15, 2015. Retrieved November 21, 2015. ^ "AmazonVideoUK Twitter Account: We've got a brand new ride". July 30, 2015. Archived from the original on November 4, 2015. ^ "Amazon Says Prime Day Orders Jump 60 Percent over Last Year". Archived from the original on 2016-07-14. ^ Shaffer, Leslie. "Amazon lifts the veil on Prime". cnbc.com. CNBC. Archived from the original on 28 December 2015. Retrieved 28 December 2015. ^ Molina, Brett. "Amazon: Prime members in 'tens of millions'". usatoday.com. USA Today. Archived from the original on 28 December 2015. Retrieved 28 December 2015. ^ "Amazon Media Room: Press Releases". Amazon. ^ "Amazon Prime now reaches nearly half of U.S. households". cnn.com. CNN. Archived from the original on 27 January 2016. Retrieved 26 January 2016. ^ "Prime FREE Same-Day Delivery Expands to 11 New Metro Areas | Business Wire". www.businesswire.com. Archived from the original on 2016-04-10. Retrieved 2016-04-06. ^ "Prime FREE Same-Day Delivery". Archived from the original on 2016-03-03. Retrieved 2016-04-06. ^ Steve O'Hear (7 September 2016). "Amazon launches restaurant delivery for Prime members in London". TechCrunch. Archived from the original on 10 September 2016. Retrieved 9 September 2016. ^ Statt, Nick (September 30, 2016). "Twitch will be ad-free for all Amazon Prime subscribers". The Verge. Archived from the original on October 1, 2016. Retrieved September 30, 2016. ^ Perez, Sarah. "Amazon launches its newest private label, Wickedly Prime". TechCrunch. Archived from the original on 2016-12-24. Retrieved 2016-12-23. ^ "Kindle Books: Kindle Store : Nonfiction, Fiction, History, Advice & How-to, Business & Investing & More". Amazon.com. Archived from the original on May 1, 2011. Retrieved July 23, 2011. ^ "Don't Call It a Tablet: the Kindle Fire Reviewed". November 17, 2011. Archived from the original on December 2, 2014. Retrieved December 9, 2014. ^ "Kindle Fire HDX Tablets, Impressive Device At An Insanely Low Price By Amazon.com". CEOWORLD Magazine. September 25, 2013. Archived from the original on September 27, 2013. Retrieved September 25, 2013. ^ Lee, Adriana (Apr 3, 2014). "10 Things You Need To Know About The Amazon Fire TV". ReadWrite. Archived from the original on 2016-10-16. ^ Woods, Ben (October 27, 2014). "Amazon Launches the Fire TV Stick, a $39 Chromecast Rival". The NextWeb. Archived from the original on October 27, 2014. ^ Streitfeld, David (June 18, 2014). "Fire Phone Immerses Users in Amazon's World". The New York Times. The New York Times Company. Archived from the original on July 5, 2017. ^ Duryee, Tricia (8 September 2015). "Amazon finally stops selling the Fire Phone, as company adjusts its hardware strategy". GeekWire. Archived from the original on 9 September 2015. Retrieved 9 September 2015. ^ Jacquelyn Tanner (3 March 2016). "Amazon Echo Dot: a Smaller, More Affordable EchoTop Mobile Trends". Top Mobile Trends. Archived from the original on 30 July 2016. Retrieved 4 August 2016. ^ "Amazon.com". Amazon.com. September 9, 2009. Archived from the original on August 28, 2010. Retrieved August 29, 2010. ^ "amazon.com-News Release". Phx.corporate-ir.net. Retrieved August 29, 2010. ^ "Amazon MP3 Frequently Asked Questions". Amazon.com. September 9, 2009. Archived from the original on August 28, 2010. Retrieved August 29, 2010. ^ Cheng, Jacqui (August 6, 2007). "Amazon invests in social music site Amie Street". Ars Technica. Archived from the original on October 14, 2007. Retrieved September 26, 2007. ^ "amazon.com Launches Public Beta of Amazon MP3". Home.businesswire.com. September 25, 2007. Retrieved August 29, 2010. ^ Leeds, Jeff (December 28, 2007). "Amazon to Sell Warner Music Minus Copy Protection". The New York Times. Archived from the original on December 11, 2008. Retrieved January 12, 2009. ^ "Amazon Adds Fourth Major Record Label To DRM-Free Music Store". InformationWeek. January 10, 2008. Archived from the original on October 10, 2009. Retrieved January 12, 2009. ^ Hansell, Saul (January 10, 2008). "Sony Drives Another Nail in the D.R.M. Coffin". The New York Times. Archived from the original on January 23, 2008. Retrieved January 12, 2009. ^ "Kindle Books: Kindle Store : Nonfiction, Fiction, History, Advice & How-to, Business & Investing & More". Amazon.com. Archived from the original on May 1, 2011. Retrieved August 18, 2011. ^ Kindle Store : Kindle eBooks Archived 2016-12-27 at the Wayback Machine. Retrieved January 30, 2017. ^ "Amazon MP3 Music Coming to UK'". Archived from the original on June 29, 2008. Retrieved February 1, 2008. ^ Carrie-Ann Skinner (December 3, 2008). "iTunes-killer Amazon MP3 launches in the UK". PC Advisor. IDG. Archived from the original on June 2, 2017. Retrieved February 7, 2014. ^ "E-Books Top Hardcovers at Amazon". The New York Times. July 19, 2010. Archived from the original on September 6, 2011. Retrieved July 19, 2010. ^ Amazon.com (May 23, 2013). "Developers Can Now Distribute Apps in Nearly 200 Countries Worldwide on Amazon - Amazon Mobile App Distribution Blog". Developer.amazon.com. Archived from the original on December 3, 2013. Retrieved November 27, 2013. ^ Kyle Orland, Gamasutra. "Amazon Launches Mac Download Store To Compete With Apple Archived 2011-05-30 at the Wayback Machine." May 26, 2011. Retrieved May 31, 2011. ^ "Amazon launches its own digital music service". MSN News. January 10, 2013. Archived from the original on January 14, 2013. Retrieved January 11, 2013. ^ Ian Paul @ianpaul. "Amazon's Kindle MatchBook turns past print purchases into low-cost ebooks". Techhive.com. Archived from the original on January 22, 2014. Retrieved December 16, 2013. ^ "The Verge: Amazon launches Kindle MatchBook, offering cheap digital copies of your physical books". Theverge.com. October 29, 2013. Archived from the original on December 20, 2013. Retrieved December 16, 2013. ^ "Kindle MatchBook". Amazon.com. Retrieved December 16, 2013. ^ "Amazon Snaps Up Video Game Provider Reflexive". Archived from the original on 2017-05-29. ^ Li, Anita. "Amazon Launches Game Studio, Gives Zynga Competition". Mashable. Archived from the original on 2012-08-10. ^ Andrew Webster (November 1, 2012). "Amazon launches its first mobile game, 'Air Patriots,' for iOS and Android". The Verge. Vox Media, Inc. Archived from the original on January 22, 2014. Retrieved February 7, 2014. ^ Sarah Perez (February 6, 2014). "Amazon Acquires Video Gaming Studio Double Helix Games". TechCrunch. AOL, Inc. Archived from the original on February 24, 2014. Retrieved February 7, 2014. ^ "Why it makes sense for Amazon to buy Twitch". The Verge. August 25, 2014. Archived from the original on August 26, 2014. Retrieved August 26, 2014. ^ "A Letter from the CEO, August 25, 2014". Twitch Blog. Twitch Interactive. August 25, 2014. Archived from the original on August 25, 2014. Retrieved August 25, 2014. ^ Wawro, Alex (August 25, 2014). "Amazon to acquire Twitch". Gamasutra. UBM plc. Archived from the original on August 26, 2014. Retrieved August 25, 2014. ^ Sikka, Puneet. "Amazon buys Twitch to take on Netflix and Google". Market Realist. Market Realist, Inc. Archived from the original on October 11, 2014. Retrieved September 2, 2014. ^ "Amazon to sell Warhol and Dali in online venture". BBC News. August 7, 2013. Archived from the original on August 8, 2013. Retrieved August 8, 2013. ^ Wetherbe, Jamie (August 6, 2013). "Amazon Art launches with masterpieces by Andy Warhol, Monet". Los Angeles Times. Archived from the original on August 7, 2013. Retrieved August 8, 2013. ^ "AMAZON.COM ANNOUNCES FOURTH QUARTER SALES UP 22% TO $35.7 BILLION" (XBRL). United States Securities and Exchange Commission. January 28, 2016. Archived from the original on June 8, 2017. ^ Reader, Ruth (April 28, 2015). "Amazon launches Amazon Business, sunsets AmazonSupply". VentureBeat. Retrieved October 15, 2018. ^ Couts, Andrew (March 29, 2011). "Amazon launches Cloud Drive 'digital locker,' Cloud Player". Digital Trends. Archived from the original on August 5, 2011. ^ "Order Prints from Amazon Drive accounts". Archived from the original on 2016-09-24. ^ "Amazon Goes After Dropbox, Google, Microsoft With Unlimited Cloud Drive Storage". Archived from the original on 2016-09-25. ^ AmazonBasics Archived 2016-11-01 at the Wayback Machine, official website. ^ Darren Murph (September 20, 2009). "AmazonBasics: Bezos and Co. starts private-label consumer electronics line". engadget.com. Archived from the original on August 15, 2012. Retrieved September 6, 2012. ^ Eadicicco, Lisa. "Amazon May Launch its Own Food Brands". TIME.com. Archived from the original on 2016-05-16. Retrieved 2016-05-17. ^ Bright, Marshall (6 March 2017). "We Weren't Expecting THIS From Amazon (& It's So Cheap!)". Refinery29. Archived from the original on 7 March 2017. Retrieved 7 March 2017. ^ "Lady Gaga's $0.99 Album Download Overwhelms Amazon". Mashable. May 23, 2011. Archived from the original on May 25, 2011. ^ Amazon.com. "Self-Publish with Us". Amazon.com. Archived from the original on April 26, 2013. Retrieved May 14, 2013. ^ a b Ben Fritz (September 12, 2012). "Amazon Studios going into comics". LA Times. Archived from the original on September 22, 2012. Retrieved September 25, 2012. ^ Sarah Perez (May 2, 2012). "Amazon Studios Now Funding Original Content Series For Amazon Video Service". techcrunch.com. Archived from the original on October 18, 2012. Retrieved September 27, 2012. ^ Andrew Wallenstein (May 2, 2012). "Amazon Studios opens door to TV: Net retailer calls for submissions of comedy, kidvid pilot scripts". Chicago Tribune. Archived from the original on July 9, 2012. Retrieved September 27, 2012. ^ Barr, Jeff (August 25, 2006). "Amazon EC2 Beta". Amazon Web Services Blog. Archived from the original on June 3, 2014. Retrieved May 27, 2014. ^ "Amazon Web Services Launches Amazon EC2 for Windows". Amazon.com. October 23, 2008. Retrieved May 27, 2014. ^ Mlot, Stephanie (August 21, 2012). "Amazon Launches Glacier Cloud Storage Service". PCMag.com. Ziff Davis. ^ Panzarino, Matthew. (March 4, 2013) Amazon Launches Mobile Ads API Archived 2013-03-08 at the Wayback Machine. Thenextweb.com. Retrieved on July 21, 2013. ^ "Just how big is Amazon's AWS business? (hint: it's absolutely massive)". Geek.com. Archived from the original on December 15, 2014. Retrieved December 22, 2014. ^ "Amazon Shorts Shutting Down: Company Will No Longer Publish Short Stories". Huffington Post. Archived from the original on 22 November 2016. Retrieved 21 November 2016. ^ Justice, Glen (November 6, 2004). "Kerry Kept Money Coming With the Internet as His ATM". The New York Times. Archived from the original on May 20, 2013. Retrieved February 2, 2013. ^ More than $43 Million Raised by Consumer Programs for Red Cross Tsunami Relief[permanent dead link], American Red Cross press release, January 21, 2005. ^ "Amazon Launches New Charity Site to Give Back to Nonprofits". Archived from the original on 11 October 2016. Retrieved 25 July 2016. ^ Shop Amazon Smile to Benefit Senior Services Archived 2015-02-20 at the Wayback Machine. Retrieved January 28, 2015. ^ "Amazon allows you to donate to favorite charities". Smile.Amazon.com. 30 April 2005. Archived from the original on 26 August 2016. Retrieved 28 June 2016. ^ "Amazon Local: Media Room". Local.amazon.com. Archived from the original on February 10, 2014. Retrieved December 5, 2013. ^ Pascal-Emmanuel Gobry (June 2, 2011). "Amazon.com: Amazon Local Is Its Foray Into The Daily Deal Space". Business Insider. Archived from the original on February 10, 2013. Retrieved January 31, 2013. ^ "Amazon Local daily deal service launched in UK". BBC News. August 29, 2012. Archived from the original on April 24, 2014. Retrieved April 22, 2014. ^ Help - Amazon Local Archived 2015-12-08 at the Wayback Machine Retrieved December 1, 2015. ^ Dillow, Clay (July 9, 2009). "AmazonWireless Offers Phones and Plans,". Fast Company. Archived from the original on July 13, 2009. Retrieved September 7, 2009. ^ Jackson, Rob (July 9, 2009). "Amazon launches AmazonWireless.com". Phandroid.com. Archived from the original on September 9, 2009. Retrieved September 7, 2009. ^ Katherine P. Harvey. "AmazonFresh rolls into San Diego". U-T San Diego. ^ Jay Greene (March 31, 2015). "Amazon Gizmo Makes Order as Easy as Pushing a Button". The Seattle Times. Archived from the original on November 10, 2015. Retrieved October 1, 2015. ^ a b Day, Matt (January 22, 2018). "Amazon Go cashierless convenience store opens to the public in Seattle". Seattle Times. Retrieved June 4, 2018. ^ Weise, Elizabeth (January 21, 2018). "Amazon opens its grocery store without a checkout line to the public". USAToday. Retrieved June 4, 2018. ^ Silver, Curtis (December 5, 2016). "Amazon Announces No-Line Retail Shopping Experience With Amazon Go". Forbes. Retrieved December 5, 2016. ^ Heater, Brian (December 5, 2016). "Amazon launches a beta of Go, a cashier-free, app-based food shopping experience". TechCrunch. Retrieved December 6, 2016. ^ Garun, Natt (December 5, 2016). "Amazon just launched a cashier-free convenience store". The Verge. Retrieved June 4, 2018. ^ Leswing, Kif (December 5, 2016). "This is Amazon's grocery store of the future: No cashiers, no registers and no lines". Business Insider. Retrieved December 5, 2016. ^ Hardawar, Devindra (December 5, 2016). "Amazon Go is a grocery store with no checkout lines". Engadget. Retrieved December 5, 2016. ^ Say, My. "Amazon Go Is About Payments, Not Grocery". Forbes. Retrieved January 24, 2017. ^ Statt, Nick (October 23, 2018). "Amazon's latest cashier-less Go store opens in San Francisco today". The Verge. Retrieved November 2, 2018. ^ Soper, Spencer (September 19, 2018). "Amazon Will Consider Opening Up to 3,000 Cashierless Stores by 2021". Bloomberg News. Retrieved November 2, 2018. ^ O'Connor, Clare (May 26, 2014). "Amazon's Wholesale Slaughter: Jeff Bezos' $8 Trillion B2B Bet". Forbes. Archived from the original on June 20, 2014. Retrieved June 21, 2014. ^ Konzak, Lindsay (April 23, 2012). "3 Observations on Amazon's New Industrial Marketplace, AmazonSupply.com". Modern Distribution Management. Archived from the original on October 21, 2014. Retrieved June 21, 2014. ^ a b c Medhora, Narottam; George Tharakan, Anya (May 10, 2016). "Amazon Subscription Service". Yahoo Tech. Archived from the original on May 13, 2016. Retrieved May 10, 2016. ^ "Amazon Music Unlimited FAQ". Amazon.com. Retrieved 14 May 2018. ^ Valentina Palladino (US) - Nov 22, 2016 4:11 pm UTC (2016-11-22). "Amazon Tickets could take on Ticketmaster in possible US expansion | Ars Technica UK". Arstechnica.co.uk. Archived from the original on 2016-11-23. Retrieved 2017-11-07. ^ Sapone, Marcela (2016-11-22). "Amazon has big plans to expand its online tickets business". Recode. Archived from the original on 2017-11-08. Retrieved 2017-11-07. ^ Chaim Gartenberg (24 January 2017). "Amazon will now send your kids tech and science toys for $20 a month". The Verge. Archived from the original on 26 January 2017. Retrieved 25 January 2017. ^ Jillian Stampher (24 January 2017). "Amazon launches STEM toy subscription service to 'educate and excite' budding young scientists". GeekWire. Archived from the original on 25 January 2017. Retrieved 25 January 2017. ^ Sarah Perez (24 January 2017). "Amazon launches a subscription service for STEM toys". TechCrunch. Archived from the original on 24 January 2017. Retrieved 25 January 2017. ^ "STEM Club Toy Subscription: 3-4 year olds". Archived from the original on 2017-01-26. ^ Greene, Jay (November 2, 2015). "Amazon opening its first real bookstore — at U-Village". The Seattle Times. Archived from the original on January 5, 2016. Retrieved December 14, 2015. ^ Eadicicco, Lisa (November 4, 2015). "Look Inside Amazon's First Physical Store". TIME. Archived from the original on December 12, 2015. Retrieved December 14, 2015. ^ Weise, Elizabeth (November 3, 2015). "Amazon opens a physical bookstore, but still hopes you buy online". USA Today. Archived from the original on December 14, 2015. Retrieved December 14, 2015. ^ Dave Smith (March 30, 2015). "Now you can book a plumber or house cleaner on Amazon in 60 seconds". Forbes. Archived from the original on April 8, 2015. ^ By Sarah Perez, TechCrunch. "Amazon Expands Its Travel Footprint With New "Local Getaways" Site, Amazon Destinations Archived 2017-12-22 at the Wayback Machine." April 21, 2015. April 21, 2015. ^ "Why Did Amazon Quit The Online Travel Market?". Forbes. 20 October 2015. Archived from the original on 22 December 2017. Retrieved 19 December 2017. ^ Tabuchi, Hiroku (Oct 8, 2015). "Amazon Challenges Etsy With Strictly Handmade Marketplace". New York Times. Archived from the original on 2016-12-26. ^ Jo Madda, Mary (27 June 2017). "Amazon Launches 'Inspire,' a Free Education Resource Search Platform for Educators". EdSurge. Archived from the original on 2 May 2017. Retrieved 26 January 2018. ^ Reisinger, Don (3 April 2017). "Here's How to Use Cash to Buy Stuff on Amazon". Fortune. Retrieved 30 March 2018. ^ Haselton, Todd (3 April 2017). "You can use cash to shop on Amazon -- here's how". CNBC. Retrieved 30 March 2018. ^ "Amazon launches Amazon Cash". Business Insider. 5 April 2017. Retrieved 30 March 2018. ^ Cornick, Kate (14 November 2017). "Amazon Cash Comes to Canada". Techvibes. Retrieved 30 March 2018. ^ Statt, Nick (24 August 2017). "Amazon Cash comes to the UK, but under a different name". The Verge. Vox Media. Retrieved 30 March 2018. ^ "Amazon's new retail store only stocks items rated 4 stars and up". Engadget. Retrieved 2018-09-27. ^ Thomas, Lauren (2018-09-26). "Amazon is opening a new store that sells items from its website rated 4 stars and above". CNBC. Retrieved 2018-09-27. ^ "Amazon's new store only sells products with 4-star ratings and above". The Verge. Retrieved 2018-09-27. ^ Schofield, Jack (January 26, 2007). "Amapedia – Amazon to Take on Wikipedia". The Guardian. Archived from the original on October 3, 2015. Retrieved October 1, 2015. ^ "Amazon's Army". The New York Times. The New York Times Company. Archived from the original on 21 March 2012. Retrieved 24 February 2013. ^ "Vetting Vine Voices". Publishers Weekly. Archived from the original on 11 January 2013. Retrieved 23 February 2013. ^ "And the Lights Go Up on SoundUnwound!". SoundUnwoundBlog.com. September 1, 2008. Archived from the original on June 12, 2010. Retrieved August 29, 2010. ^ Amazon Webstore Pricing - Find the Plan That Fits Your Business Archived 2013-02-18 at the Wayback Machine. Webstore.amazon.com. Retrieved on August 16, 2013. ^ Amazon Webstore Resource - Solution Provider Network Archived 2015-03-07 at the Wayback Machine Retrieved 25 February 2016. ^ "Amazon Webstore Implementation Solution Providers". WebStore.Amazon.com. Archived from the original on November 3, 2013. Retrieved December 16, 2013. ^ Sikka, Puneet. "Amazon launches a credit card reader to tap the vast physical retail market". Market Realist. Market Realist, Inc. Archived from the original on October 20, 2014. Retrieved September 29, 2014. ^ Amazon to let shoppers bargain for lower prices with new make an offer option Archived 2016-11-26 at the Wayback Machine. Retrieved December 9, 2014. ^ Ben Kepes (January 28, 2015). "Amazon Changes The Game Again--AWS Introduces WorkMail". Forbes. Archived from the original on July 10, 2017. ^ James Risley, GeekWire. "Amazon's chip business debuts new semiconductors for smart home appliances Archived 2016-01-08 at the Wayback Machine." Jan 7, 2016. Jan 8, 2016.